Product #60625 | SKU HDC-5500 | 0.0 (no ratings yet) Thanks for your rating! 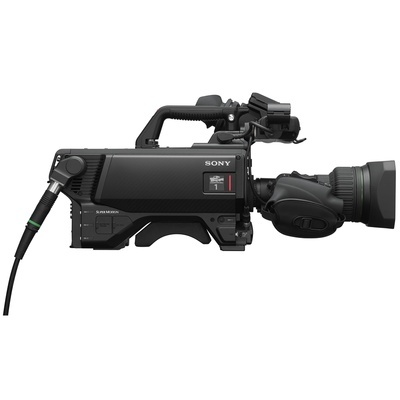 The Sony HDC-5500 4K HDR System Camera brings new levels of image quality, portability and creative flexibility to live production environments. Enjoy premium 4K/HD/HDR picture quality – and anticipate tomorrow’s production needs while maintaining full compatibility with today’s workflows and system hardware. Network TRUNK (via LAN port) allows high-speed data transmission between the camera and CCU at up to 1 Gbps to support configurability with IP-based products and systems.